If you’re struggling to understand feedback on an assignment, here are three key things you should be doing right now! Set up a meeting! If you didn't understand something your tutor wrote, it is OK to ask them for more direction. Sure, you can send them an email asking for clarification, but chances are you will still be left confused. Ask to see your tutor in person to get a more holistic understanding of how your work was received. Not everything can be communicated via text, and things can become lost in translation. You should always take the opportunity to get as much help and feedback as you can. You will feel a lot better about yourself for having done so, (it also shows you care and this is never a bad thing!). Keep a positive mindset. Feedback and direction is not personal. If your tutor has provided you with significant feedback, this is an excellent thing! A lot of students assume that detailed feedback suggests that their work was ‘poor’. This is not true. It means that your tutor is invested in your improvement and has taken the time to fully process your work. 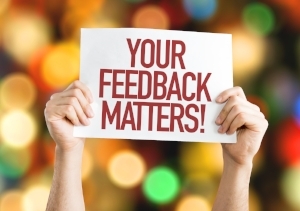 Feedback takes a lot of time to formulate and should always be approached objectively (on both sides). Receiving, processing and acting on information is key to you moving forward. Everything takes time to digest (yes it can sometimes be hard pill to swallow, but the medicine will only make you stronger!). Have a clear plan of attack! Don’t try to conquer Mount Everest in a day. Summarise what was said by writing down a list of key areas for improvement. If you focus on achieving 2-3 of these in your next assignment (rather than every point your tutor raised) your approach will be more measured. Having a plan in mind means that you won’t waste time going forward in not knowing where to start. Know what you are capable of and set yourself small, achievable goals. Keep these goals next to you and ready to go for your next assignment. Ask Stay True Stay You for help! Yes we added in an extra tip :-). The Stay True team is always here to support you every step of the way. Let’s climb Mount Everest together. Make sure you let us know how you go. We love to hear if our tips have helped you. Keeping YOU Fresh: How To Kick-start Your Study Mojo!